Max and Mia have a problem. Actually, they have three problems, and they all involve baking, buying and selling cupcakes. Second-graders at Christopher Farms Elementary (CFES) are clamoring for Max and Mia’s cupcakes — but not because they are a favorite dessert. Rather, the tasty treats are LEGO® bricks serving as the basis for math problems students are solving together. Last month, the interlocking blocks represented individual flowers that second-graders turned into bouquets through the magic of addition. 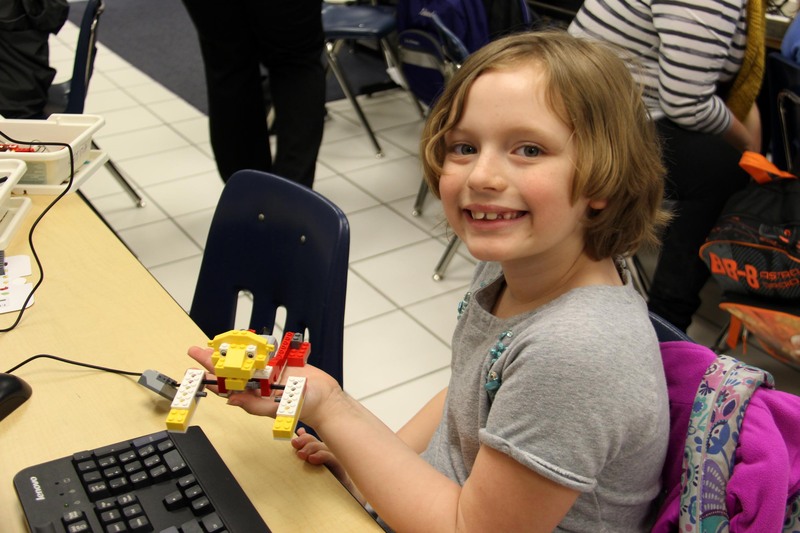 Also engaged with LEGO products are second-graders and third-graders in Newtown Elementary School’s afterschool robotics club. 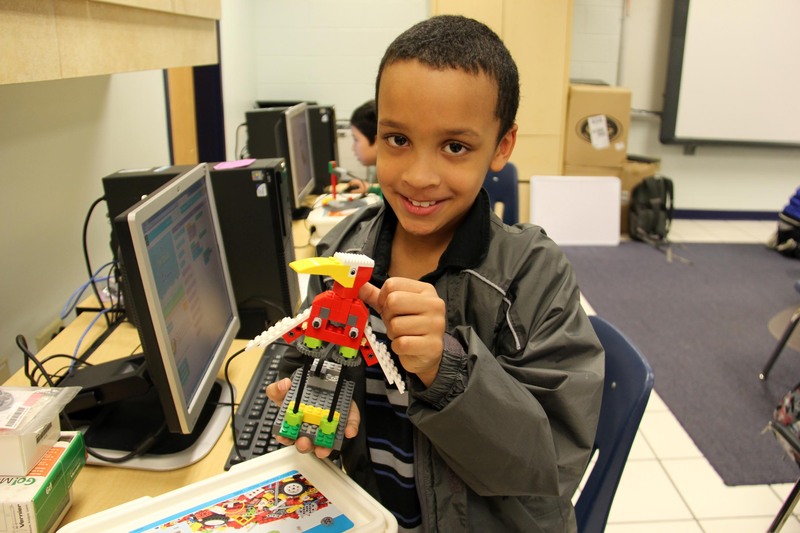 They are using LEGO WeDo robotic kits to construct various figures and using related software to program them to move. Marion built and programmed a roaring lion to stand tall with pride on its front legs. Jordan’s goal kicker spun one leg faster as he changed the coding to adjust the speed. Amaya’s sailboat rocked back and forth in rough seas. And Rude’s flying bird, which he named Scruffy, flapped its wings and chirped with sounds he programmed. He also coded Scruffy to “ribbit” like a frog – just because. “I thought it would be the most fun if I built this guy,” said Rude while holding Scruffy. 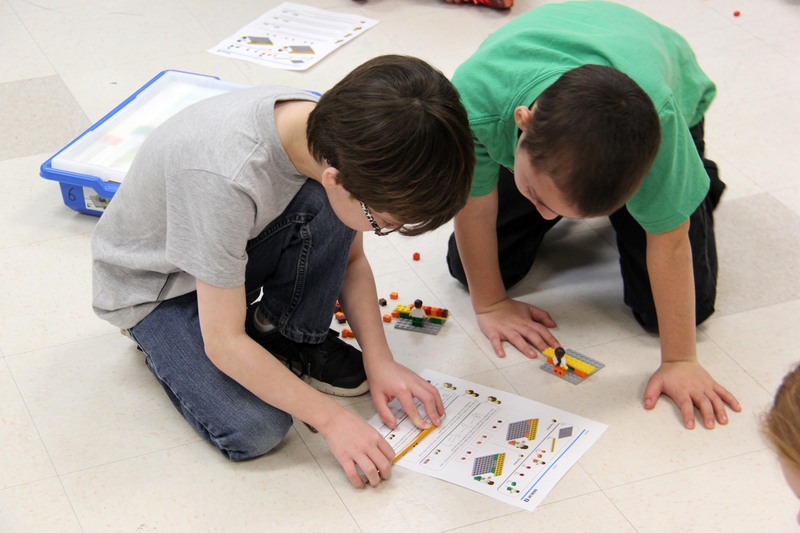 Applying what they learn in school outside the classroom is an added benefit, and familiarity with the building bricks helps educators find common ground with students on which to build skills and promote learning. 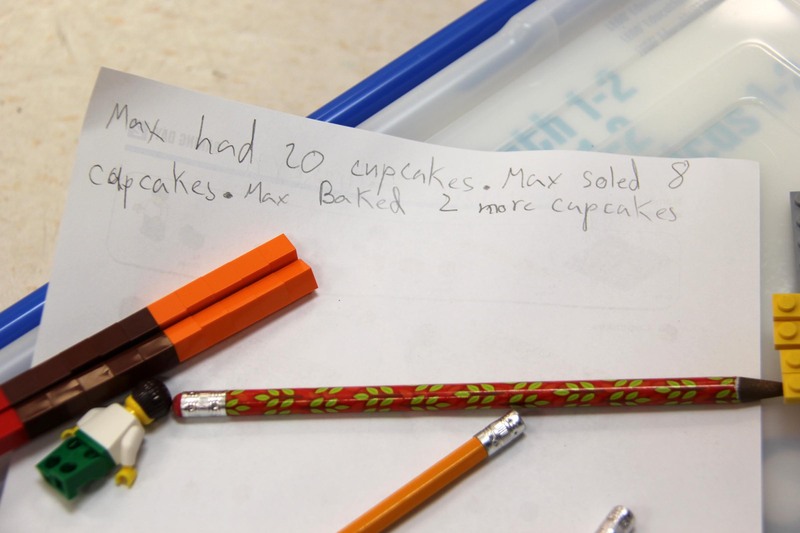 Sharing their thinking with one another is what Clifford asked Kernodle’s students to do after constructing and solving the following problem: We bake 25 cupcakes for the school sale. We sell 12 cupcakes in the first hour. In the second hour we sell only 4 cupcakes. How many cupcakes do we have now? Using a document camera to display its written work to the class, one team described its problem solving. “I really like they way you guys said the word ‘sell,’” praised Clifford. 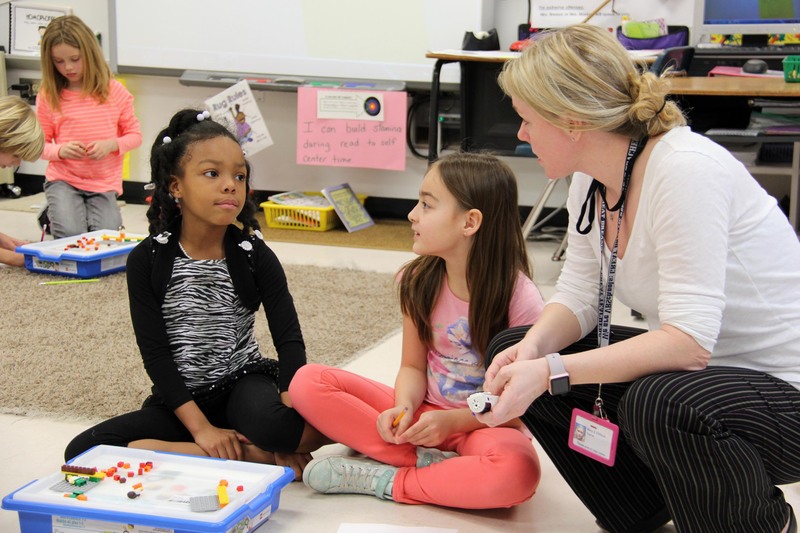 “The word sell let’s you know that you subtract.” She noted later that second-graders are just beginning to learn about word problems and their ability to recognize vocabulary words that connote a mathematical equation is key. 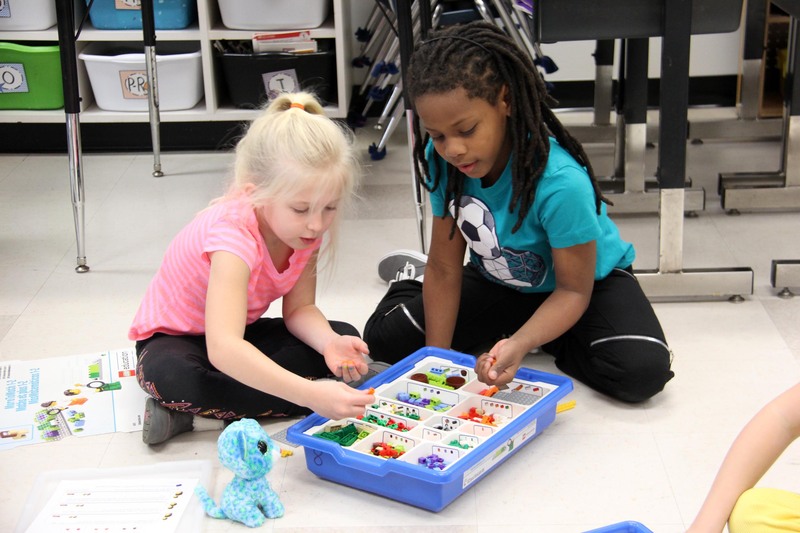 Clifford has seen the LEGO-driven problem solving make a difference in first grade as well. “It was interesting because the teacher said that the kids who don’t normally perform higher were able to problem solve better with LEGOs than the kids who normally excel,” she said. Problem solving is evident at Newtown as well. “Hey, you have to see this,” said Rude to his shoulder partner. “Oh, look! It spins!” exclaimed another student when he correctly programs the coding. “I can’t make it stop,” announced a third student seeking help. Kevin Rickard, instructional technology specialist at Newton, plans to extend their learning by incorporating language arts and more software. 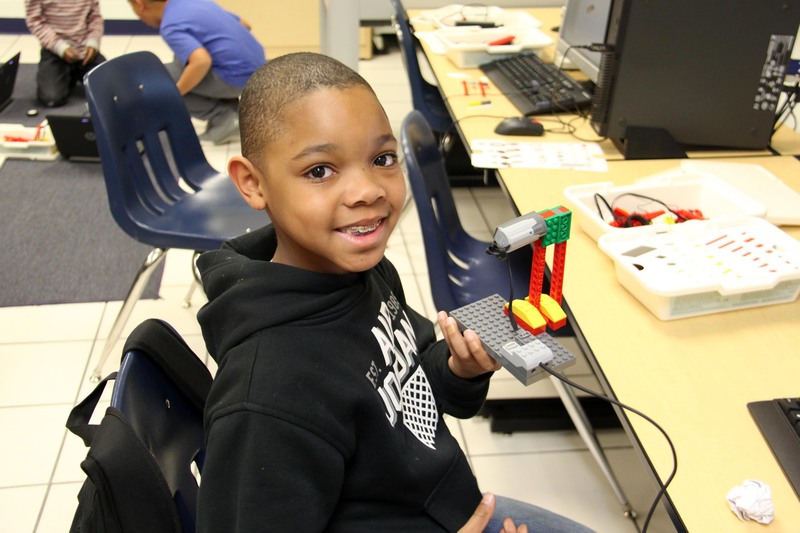 The LEGO WeDo STEM level kits include opportunities for students to build a robotic forklift, crane, drawbridge, two carnival rides and drag racers. Their stories will become scripts for movies they produce with programs that allow students to build background scenes on computers. 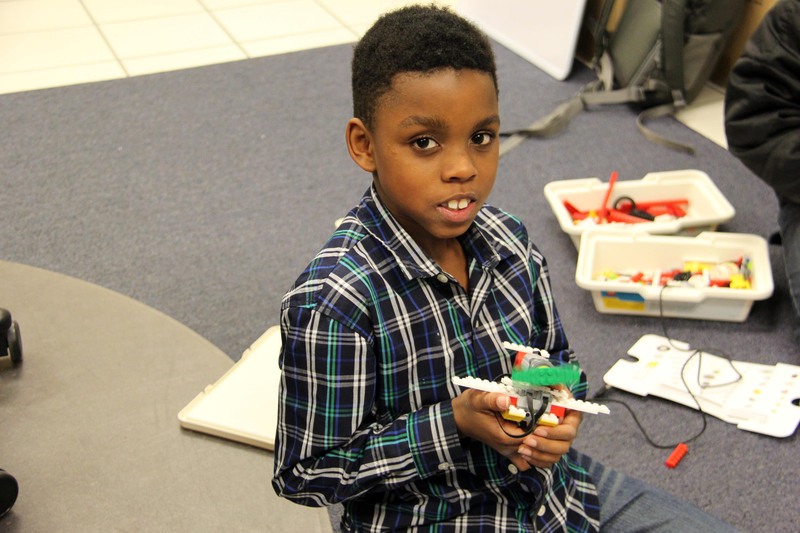 Marzir, who built the airplane rescue figure and programmed the propeller to spin, is already thinking of his story. “It’s flying to Africa,” he said when asked. It might visit Marion’s standing lion or Rude’s chirping bird when it lands. 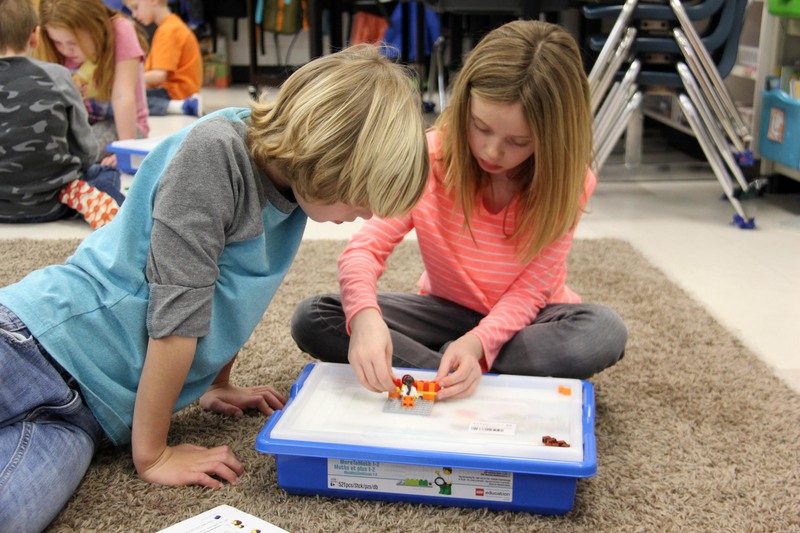 There is equal enthusiasm for learning with LEGOs in Kernodle’s second-grade class. Especially when they take it to the next level and generate their own word problems to ask classmates to solve and explain. We have 17 cupcakes. We bought four, and next they tried to make 12. How many do we have in all? Me and Keagan have 14 cupcakes, then we sell 9 cupcakes to an old woman. How many are left? They will solve each other’s word problems after lunch – baking, buying, selling and eating LEGO cupcakes on their own terms. “I like using LEGOs because they are easy to count, and we can move them around if we need to if we’ve made a mistake,” said Logan. 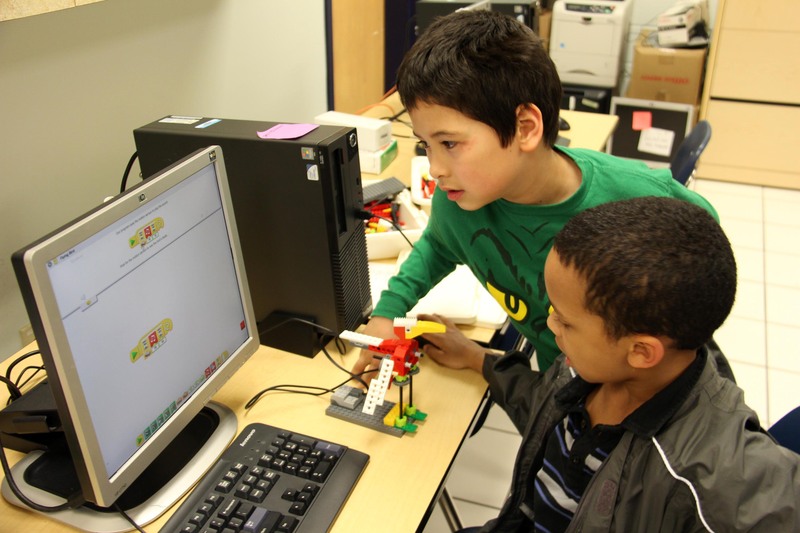 Clifford and Rickard were each awarded Virginia Beach Education Foundation (VBEF) grants to purchase LEGO Education kits for use in their schools. Mass Mutual funded Clifford’s grant at CFES, and Lifetouch underwrote Rickard’s grant at Newtown Elementary School. For more information about how you can support creative and innovative learning projects in Virginia Beach City Public Schools, contact VBEF coordinator Debbie Griffey at Debbie.griffey@vbschools.com or 757-263-1337.